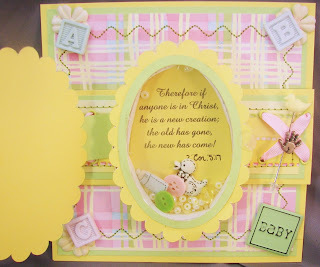 This week I am the sponsor and guest designer over at Stampin' Sisters in Christ too! It's a great start to a brand new year!!!! The card above is the one I made- I LOVE how it turned out, but the pic doesn't do it justice. 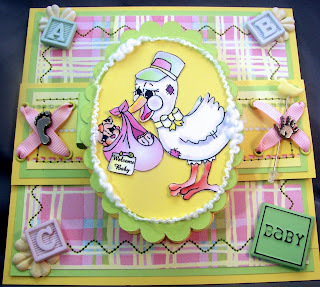 Right after it got made, my mom called and asked if I could make her a baby card for one of her friends. I love the shaker card. Soo cute.